Lulu (AKA Lou) had an uncanny ability to express her feelings about certain things. Here you can see, even at 4 weeks, her dismay at being photographed. An accurate and seemingly innate reaction since we all know that cameras steal one's soul. Nevertheless, we use this picture as it's a marvelous representation of the look on our faces when we read things that, while 'technically accurate', are misleading to those not in the know. You may have seen some breads with the word 'Flourless' splayed across the packaging. This is technically accurate but misleading as it can make the consumer believe that wheat isn't used in the creation of the product or that because it has no flour, it's a gluten-free product. That actually couldn't be further from the truth. 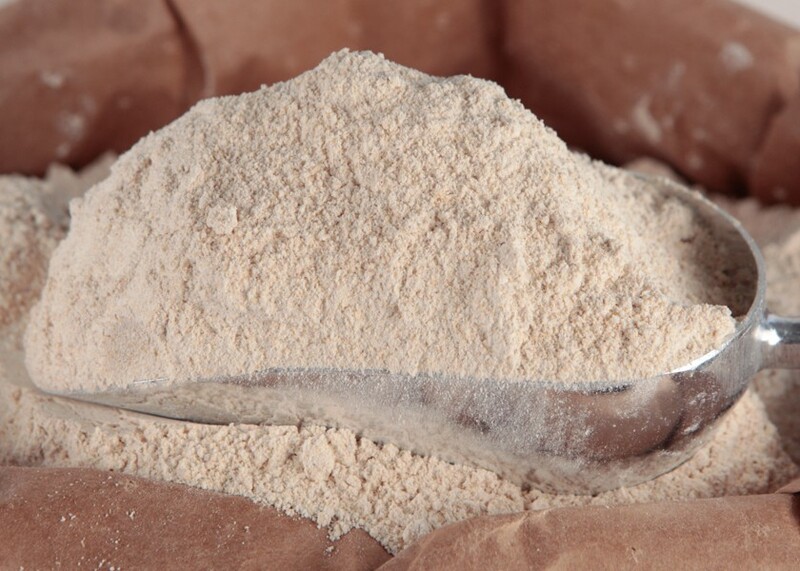 For a grain to be labelled as flour, it must be a powder which is obtained by grinding the grain. If a grain is smashed, mashed, hashed or dashed (any manner of getting it to breakdown other than being ground) it doesn't have to be labelled as flour. So be sure to check the ingredients of the product you're purchasing. If avoiding a particular grain (wheat, rye, spelt, barley, etc.) be aware that the ingredient and all its qualities and characteristics (such as gluten) still exist even though it may be labelled as flourless. You may have seen some wheat breads or other wheat products with a 'GMO Free' label on the packaging. This is technically accurate but misleading as it can make the consumer believe that he's getting a wheat product that is healthier for him or possibly organic. Wheat is not a GMO (genetically modified organism). GMO foods have their DNA manipulated in a process called genetic engineering. GMO foods are referred to as either 'GMO' or 'genetically engineered'. Same thing, whichever terminology you want to use. GMO wheat is not for sale or approved for commercial production in North America. Nor anywhere else in the world for that matter. Wheat is grown through either a cross-breeding method called hybridization or naturally in the wild. Hybridization is when you take two or more organisms (different breeds but same species) and graft them together to produce a new breed with new characteristics. Tangelos are a hybrid of tangerine and pomelo, for example. This also occurs naturally in the wild through cross-pollination. ORGANIC is your keyword. Specifically, you want the labeling to say one of these three things: Certified Organic, 100% Organic or USDA Organic. Organic products must be GMO free by definition and if the label says one of those three, you're good to go. Alright, so that's the skinny on that. We hope it helps clear up any confusion you may have had regarding some store bought items. In case you were wondering, pretty much nothing in our bakery is flourless. We like flour. In fact, we like sprouted flour even better. Flour makes a far, far superior bread than a bread made with say, a wheat mash or hash. Wheat mash tends to make bread that tastes like crackers and cardboard. And...well...that ain't our thang. Plus, we're super big fans of using Certified Organic, 100% Organic and USDA Organic ingredients.